Oxiperm ISIA is the result of cooperation between ISIA Spa and its mother company Grundfos A/S. 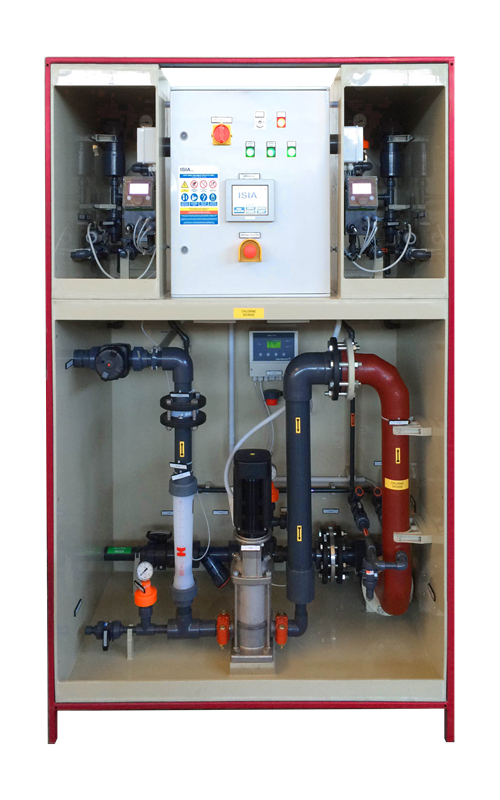 ISIA ClO2 technology at hand: our wide experience in Chlorine dioxide and Grundfos expertise in highly standardized products have been syntetized in the new compact solution Oxiperm ISIA. Oxiperm ISIA comes with No. 48 different base compact systems and more than 40 accessories, assuring a lot of possible combinations.